Is any one learned in sacred geometry? And I don't just mean, able to draw cool pictures, I am more asking about people with knowledge/understanding behind it. Over the last few years it has called to me, and recently it has been showing me allot. I was hoping there were others out there that I could lean on for some knowledge as I am just starting to understand/realize the utter importance and how significant sacred geometry is. Hopefully there are others out there? Edited by dpwishy, 08 November 2010 - 08:30 AM. I was shown the Flower of Life pattern during my first Mushroom trip. Plus The mushrooms showed me waves of violet and gold pentagrams ( single point up). I havent studied anything like Merkaba or Sacred geometry tho. the paintings i create have a lot to do with geometry and shapes and measurements. never really thought anything of it til now...thanx for the info. Maybe I'm a bit off here, but when I think of sacred geometry I think of fractals. My friend and I have worked a lot on creating fractals through computer programs. If I can get a hold of him I'll show you this real neat 3d project of the tree of life we did in autoCAD. Also, you might want to check out http://www.apophysis.org/ . It's a neat fractal generator that uses actual mathematical constructs. People use it to create templates for the screen saver electricsheep(which is really cool by itself). "Sacred geometry is the act of studying the divine act of creation and then using that knowledge to create in the same way. By studying nature, we find that the basic building blocks of creation are geometric. Since a divine hand is responsible for originating the numbers and proportions of the manifest universe, that geometry is sacred. Studying sacred geometry leads us to truth and self-understanding." I've been really digging on reading about the Golden Ratio lately. How it shows up in many parts of our own body. And how, when taken to an audio, becomes one of the most recognized beats of the 20th century. Even shows up in pyramid design. Ok so you study it and then what? What's the point? I've been interested in it and I know that sacred geometry is everywhere but what's next? I have drawn a personal mandala but is there anything more to it? I found this pattern facinating. And yet rather simple in design. Then got curious about your comment on further iterations. So I pulled out my compass and started working on this. It definately led me to some realizations. When the good ol' number pi jumped in the mix things got a lil thrown off. So upon waking, in that state where the dreams are still fresh in your mind, but your awake. I left my eyes closed and let my mind wonder. And it went back to this and settled on a "solution" and quick realization. Its then that I realized pi was throwing me off. I raised the center point in the center circle to compensate for that .14 extra which shifted the pattern from 2d to 3d. And the iterations gave me a huge sphere with flowers all around it. Pretty awesome! I wanna get a cad program or something and render this in 3d now. I found this pattern facinating. And yet rather simple in design. Then got curious about your comment on further iterations. So I pulled out my compass and started working on this. It definitely led me to some realizations. When the good ol' number pi jumped in the mix things got a lil thrown off. So upon waking, in that state where the dreams are still fresh in your mind, but your awake. I left my eyes closed and let my mind wonder. And it went back to this and settled on a "solution" and quick realization. Its then that I realized pi was throwing me off. I raised the center point in the center circle to compensate for that .14 extra which shifted the pattern from 2d to 3d. And the iterations gave me a huge sphere with flowers all around it. Pretty awesome! I wanna get a cad program or something and render this in 3d now. Before there was creation, there was no up, down, left, right and so forth, because there was no defined space. Each one of us can project, whether it be 2 inches in front of us, or 20 feet, or 20 miles. But each can project out their consciousness. The spirit projected up, down, left, right and created an octahedron, by setting this in motion it become a sphere. Spirit then went to the top and projected the same sphere and moved and so on. This is what is it referring to in Sumerian writings and in Genesis when it talked about God created in six days. After 6 rotations you have the seed of life. The first day is pretty important, the vescia piscis, as this is where the light came from, but I am just trying to give a quick over view, so thats for another time. Going out one more rotation you get the egg of life, and going out one more rotation(3rd) like explained above and you get the fruit of life. This was secret knowledge! 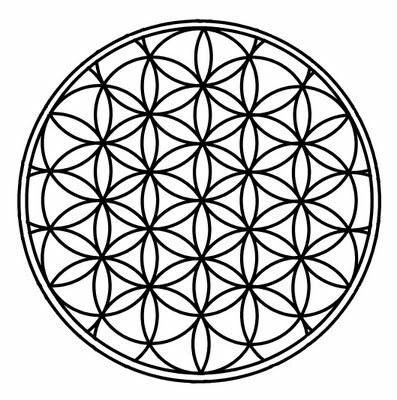 And this is why the flower of life pattern is not fully finished in the 3rd rotation. Because once you finish the third rotation, you get the fruit of life. 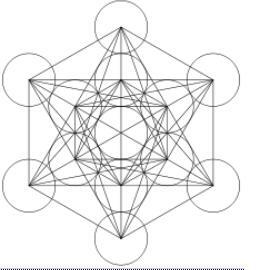 Once you have the fruit of life, you can connect all the centers and get Metatron's Cube. Edited by dpwishy, 09 November 2010 - 09:04 PM. Cant rep ya so I just wanted to say great post. I have always found patterns and sacred geometry very interesting. And now that we have the dice, we can start rolling up characters and playing the game! Just playing around with the dice thing. The multi-faced geometry just reminded me of role playing LOL. I look forward to more and further detail. I see in your expansion which went a different way than I came up with on my own, that it also ended up with 3 dimentional geometry. Tho if each of the circles represent spheres there is a whole extra matrix to consider. I am gonna incorporate some of the geometric connections in with the 3D model and see what I get. Also, I hope to do the iterations with spheres instead of circles and see if any fun geometry comes of that. Mostly tho I look forward to what is already written on the subject. Keep it coming please, and thank you. metatron's cube gives you the platonic solids which are the building blocks to..? Hehe. Agreed.. I am waiting for him to add the golden mean to this. It plays a huge part in how everything is connected. Glad to see this topic get discussed here a little. Have come across the topic here and there but haven't been able to get any real good sources for further study. Keep them posts a coming DP! My chance to give this a bump. Its probably not important and I have written about it here already but the Flower of life pattern showed itself during my first Mushroom trip as soon as I closed my eyes in a lit room. It filled all of my inner vision and was made of golden light flashing like beating dragonfly wings. To me it seems to be the holographic grid surrounding our dimension and more as you say. 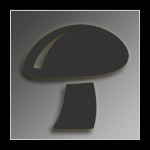 When I look at it I also see that Elemental being that is known throughout cultures . To me he is simply a humanoid being made of leaves sometimes seen riding a white unicorn. I also like the way the Hexahedron cube can be viewed from outside or inside as two different dimensional qualities depending on how you choose to view it. This is very common. I think I have seen the flower of life through journeys more than I have seen it drawn. It is the basic building block of it all. Groovy stuff.